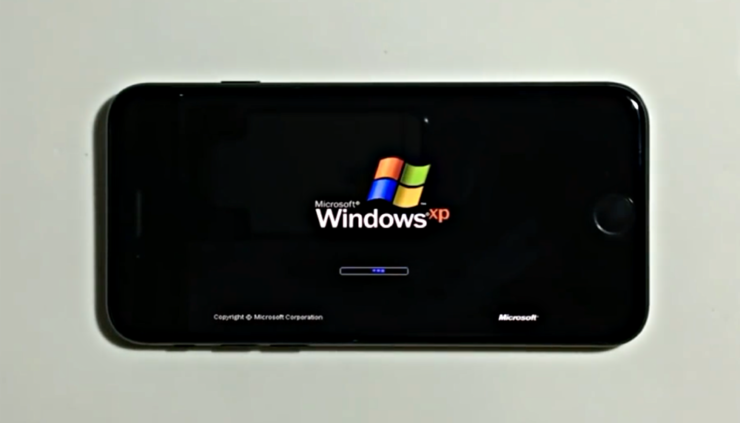 If you think using Windows XP in year 2017 is outrageous, wait till you see it running on an iPhone 7 smartphone. Back in the days, users were able to load up Android onto an iPhone alongside iOS. But that golden era is long gone as Apple is working round the clock to lock things down completely, forcing everyone to stick with Cupertino’s playbook. However, a developer will eventually come through with a neat trick of his own, showing off an operating system running on an iPhone that’s just not meant to be. Today, via Hacking Jules, you will witness an amazing feat of 2017 – Windows XP running on iPhone 7. Before you get excited thinking that the operating system is running natively on the iPhone 7, let me assure you right away that it is not. All of the magic is possible using Xcode, an emulator and of course a Windows XP ROM that’s loaded onto it. And if you did manage to watch the video in its entirety you will realize that usage of the OS is not the best in the world either. Moving the mouse around on the display is being handled by on-screen gestures, which quite frankly, is the most obvious way to get things done. Performance-wise, Windows XP looks like a total dumpster fire on the iPhone 7 as things are crawling at every given instance. So basically, do not expect the desktop OS to work its wonder on a mobile level just yet. But overall, one can’t deny the fact that the operating system running here is unmistakable in its looks, and is indeed our beloved Windows XP. It’s remarkable what was achieved here, though emulated. And what’s even more great is the fact that everything is happening alongside an installation of iOS 10.2.1, Apple’s latest publicly available mobile firmware version. If you consider yourself a full-on geek, then you too can experience Windows XP on your iPhone 7. Simply follow the GitHub link posted in the description of the YouTube video embedded above, and you will be absolutely golden.